The sarangi is a short-necked string instrument of North India, played with a bow. It is thought to have evolved from the traditional stringed and bowed instruments of Rajasthani folk music with subsequent modifications during the period of Muslim rule in North India. 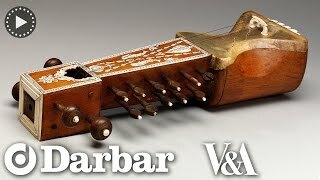 Of all Indian instruments, the mournful, hauntingly romantic sound of the sarangi is considered to be not only closest to the human voice in terms of its tonal quality but also malleable enough to almost exactly replicate particular kinds of ornamentation known as (gamak[s]) as well as slides (meendh[s]) which are normally only possible with human vocal chords. Given this close proximity to the human voice, it was considered an ideal instrument for the accompaniment of vocal music – India’s highest musical form – but, this turned out to be a mixed blessing. Because of its tremendous success in this role, for centuries the sarangi (and its close relations, the sarinda and the dilruba) remained an accompanying instrument with its exponents relegated to a lowly status in the classical music hierarchy and always being required to play “second fiddle” – quite literally – to vocal artistes. Usually measuring around two feet long and just six inches wide, the instrument is carved out of a single block of cedar wood, into a box-like shape with three hollow chambers named after body-parts: pet (stomach), chhaati (chest) and magaj (brain). It is thought that the “ang” in the word “sarangi” refers to the human body whilst “sar” means head, with the whole word colloquially meaning an instrument that can perform in any style – literally, “from head to toe.” Other theories about the etymology of sarangi maintain that the word comes from “sau” – meaning a hundred – and “rang” meaning colour, that is to say, something that is capable of producing a hundred hues. The three main playing strings – the comparatively thicker gut strings – are stopped not with the finger-tips but with the nails or cuticles which have to be lubricated, and also powdered to ease movement. Beginners can find this process extremely difficult as well as painful. In addition the to the three main strings there can be anything up to thirty-seven sympathetic strings which create a rich resonance underneath the main melody strings. The sarangi’s fortunes were waning by the start of the 20th Century, with the ending of royal patronage for classical music necessitating more long-distance travel for musicians with the more portable harmonium becoming the preferred choice for vocal accompaniment. The relative lack of portability was not the only drawback. Unlike the harmonium, the sarangi is also an extremely fragile instrument inclined to go out of tune at the slightest disturbance in surrounding noise or lighting levels. It is quite normal for a performer to have to re-tune the instrument a few times, even in the middle of a performance. The sarangi’s strong association with kathak (a North Indian classical dance style) also took its toll when that dance itself fell into disrepute, notably during the period of British rule with its exponents being referred to as “nautch girls”. This was further compounded by the fact that the sarangi was by far the most ideal melodic accompaniment for the light-classical song-styles (such as thumri and dadra) which formed the bulk of the courtesans’ repertoire. But, by the later part of the century, the sarangi began to emerge as a fully- fledged and highly regarded solo instrument, due mainly to two of its most outstanding exponents. In this solo phase, after having accompanied the greatest vocalists for several generations, the sarangi repertoire was almost entirely modelled on the khayal repertoire (a highly ornamented classical vocal style) of which sarangi players – more than any other instrumental accompanists – usually have a great in-depth knowledge. 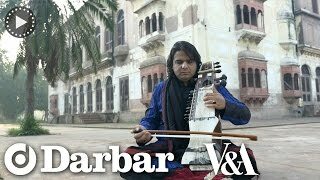 While sarangi remained very much in the shadows at the dawn of the 20th Century and was already losing out to the harmonium as an accompanying instrument for classical vocals, it would’ve been impossible to imagine that in some fifty years or so, the sarangi would emerge as classical solo instrument. The sarangi’s changing fortunes and its eventual acceptance as a solo instrument for classical Indian music recitals was largely due to the work of Ram Narayan, (born 1927), a hereditary musician, descended from a long line of string instrumentalists based in Rajasthan. Even so, his family had certain reservations against his choice of instrument as the sarangi had by now already been relegated to quite a lowly status owing to its associations with courtesans and with what the British had dubbed “nautch girls”. He had mastered the sarangi at a young age and, for a while, managed to get fairly steady work accompanying classical singers on All India Radio. Even as accompanist, his exceptional talent and mastery over his instrument was noticed by critics. But, frustrated with always playing a supporting role, he resigned as an accompanying musician and opted instead for playing sarangi parts in some very famous film songs of the 1950s and 60s. The sarangi had become a favourite of some film composers and Narayan was always their first choice to play the short stretches required by film songs but this relatively successful career of some fifteen years as a freelance musician in films, set him further apart from the world of classical music which has always looked down on more popular forms of music. His classical solo performances in Afghanistan (1952) and in China (1954) were very well received but when, buoyed by that success, he attempted to perform solo in Mumbai, an impatient audience more interested in hearing other instruments that were to follow, cut him short, forcing him off the stage. Taking his cue from sitar player Ravi Shankar who had performed so successfully in the West, Narayan began giving concerts in Europe, resulting in several recordings which were released on British, European and American labels and by the 1980s he was spending several months of the year in the West while occasionally also performing in India where, eventually, the solo sarangi began to gain acceptance. Narayan’s many recordings also inspired several younger generation musicians to take up that instrument. Perhaps in an attempt to constantly have to prove that the sarangi was capable of doing justice to the Indian classical repertoire, Narayan’s style – particularly in the alap (or slow, pulse-free introductory section of an Indian classical recital,) was relatively austere, although he often concluded performances using the lighter-classical song forms such as thumri. Wood, parchment, ivory and lac inlay and metal strings. Mysore, India. c. 1865. This instrument was sent from Mysore to the Paris Universal Exhibition of 1867. Transferred from the India Museum, London, to the South Kensington Museum (now V&A) in 1879. A similar instrument is mentioned in Charles Russell Day, The Music and Musical Instruments of Southern India and the Deccan (London and New York: Novello, Ewer and Co; London: Adam and Charles Black, 1891), plate V, pp. 125-126. With sarangi already beginning to re-emerge, another maestro of the instrument, Sultan Khan (1940 – 2011), also from Rajasthan and descended from a long line of sarangi-players, continued to build on the work already done by Narayan, although he evolved a style that was very different to that of Narayan. Khan’s style was often referred to as “the singing sarangi” for he had developed a performance format which nearly always included actually singing some phrases before interpreting them with more ornamental detail on the sarangi. 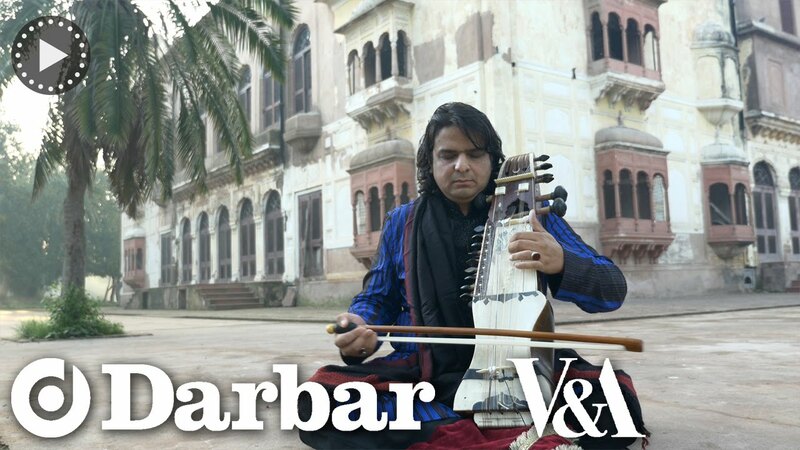 With the human voice and the sound of the sarangi being so very similar it was a format that went down tremendously well with newer fans as well as students being drawn to the instrument. Khan was involved in a number of high profile projects and was one of Ravi Shankar’s hand-picked musicians for the Festival from India tour and recording package of 1974. 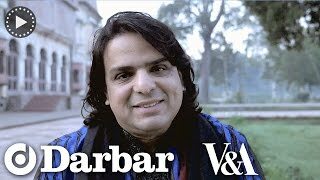 Later, he teamed up with tabla player Allarakha as well as the maestro’s son, celebrated tabla player Zakir Hussain, with Khan quite often willingly taking a subordinate role so that both the father-and son team could play tabla solos. His association with Zakir Hussain led to the two appearing in many concerts as well as composing the music for Ismail Merchant’s film “In Custody” for which Khan himself played the sarangi. In the later part of his career, he was more and more inclined towards making pop albums on which he would sing with western-style backing and one such album, Piya Basanti, was a top hit of the year 2000. 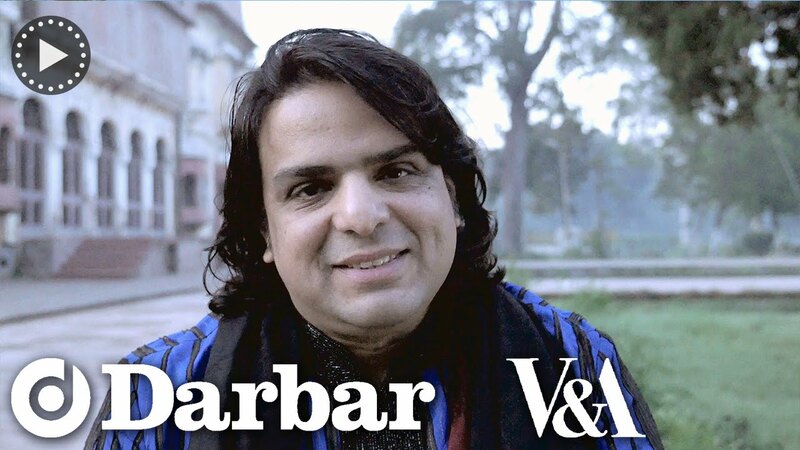 But, without a doubt, he seemed most at home when playing classical music and even after he had become a successful soloist, he was one of the most sought-after sarangi accompanists for some very high-profile vocal maestros.